Dr Trish Neumann is a Specialist Women’s, Men’s and Pelvic Health Physiotherapist and a Fellow of the Australian College of Physiotherapists since 2010. She has extensive experience in caring for people with pelvic floor problems and has a particular interest in helping those with complex problems, such as chronic pelvic pain and prolapse. After being the director of her own practice for many years, Trish now works as a consultant physiotherapist at Flex Rehabilitation Clinic, one of Adelaide's leading physiotherapy clinics, where she also mentors young physiotherapists working in the area of pelvic health. At Flex, the “pelvic floor team” all have post-graduate university training in pelvic floor health and are well-qualified to see people with the full range of pelvic floor conditions, including bladder and bowel control problems. Trish is interested in helping women with pelvic organ prolapse to understand their condition, to explore non-surgical options of management, including support pessaries, and to help women engage in active lives again. This service is available from all the highly trained pelvic floor team at Flex Rehabilitation Clinic. Trish and her colleagues at Flex also provide services for people with chronic (or persistent) pelvic pain in association with the Adelaide Pelvic Pain Network. The APPN provides access to a multi-disciplinary team of expert health care professionals, who work together to help people with pelvic pain. Further information is available at www.adelaidepelvicpainnetwork.org. Trish's interest in pelvic pain led her to develop resources to help her patients. She has created a program of pelvic floor relaxation training, which is available as a CD or as an MP3 download from this website. She has also developed an education program for individuals and couples about understanding the new science of persistent pain to help the healing process. Bookings for the evening pelvic pain seminars can be made by phoning Flex Rehabilitation Clinic. Trish graduated with a PhD from the University of South Australia in 2006. Her study investigated the physiotherapy management of women with stress urinary incontinence in Australia. The results of her study underpinned the funding model for the Medicare Chronic Disease Management Plan for allied health practitioners. Trish now lectures at the University of South Australia, where she has helped to set up a new and innovative post-graduate course to train physiotherapists and nurses in the non-surgical management of prolapse, including pessary care. Trish is director of physiotherapy services at South Terrace Urology, a service available to men undergoing robotically assisted radical prostatectomy with the urologists at South Terrace Urology. Her team at Flex also provide best-practice physiotherapy for men with prostate cancer undergoing radical surgery. 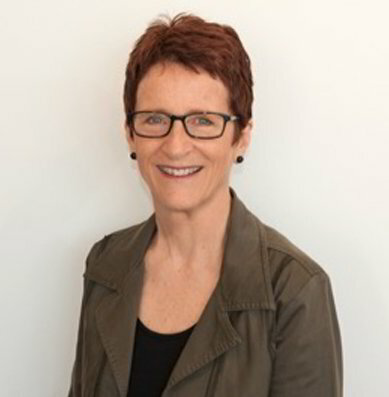 Trish has authored many papers on various aspects of pelvic floor physiotherapy and a clinical practice guideline, she has written two book chapters and has lectured nationally and internationally. She continues to be involved in research into physiotherapy for pelvic floor conditions.